In this Jan, 21, 2018, file photo, Jet Li attends the 'Ma Yun Rural Teachers Prize' awards show in Sanya, Hainan province, China. The internet is crying out after a new photo has emerged of martial arts master Jet Li looking frail. In the latest photo, many commenters were quick to notice that the wushu legend looked drastically different from his past onscreen roles. The image has been widely circulated and caused an outcry of public concern over the beloved star's health. 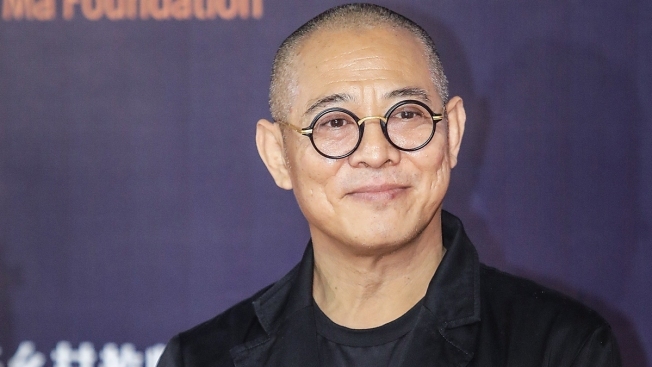 The growing alarm was sparked after a fan tweeted a photo with the 55-year-old actor while visiting a temple on May 19 and wrote, "So, apparently, Jet Li is suffering from 'hyperthyroidism and spinal problems' and this is him now." Many fans were quick to express their dismay, fear and distress over his appearance. Li's manager responded to speculation by saying there was nothing "life-threatening" about the actor's condition. “He has hyperthyroidism that he’s been dealing with for almost 10 years. It’s nothing life-threatening and he’s dealing with it,” Steven Chasman told the Washington Post. In the past, the actor and producer has been open about his struggle with hyperthyroidism, a disorder that causes the production of too much thyroxine hormone and can greatly affect weight. Previously, the "Romeo Must Die" star revealed he'd been diagnosed with an overactive thyroid in 2010 and despite taking taking medication to keep his illness at bay, the condition kept returning. Additionally, he's said that injuries to his legs and spine sustained over years of filming have limited his movements. Li was photographed at event in January and he looks markedly thinner than he did just five months ago. In 2013, the Chinese action star first publicly addressed his diagnosis during the taping of a talent show that he was judging, The Hollywood Reporter reported. The outlet said at the time that Li appeared to have a fuller face and was looking heavier and he said that his weight had fluctuated due to his illness. He even joked then about the weight gain saying, "I'm fat. I don't have the time to lose it. It's a fact." In 2013, he explained that exercise was not advised with the medication he was taking. Hyperthyroidism can cause changes in a person's metabolism and heart rate, among other symptoms, but is often treatable with medications. Due to his health conditions, Li has spent the past few years dedicating his time to his charity, The One Foundation, which focuses on disaster relief and children's welfare in China. Li says his strong belief in Buddhism as well as meditation and scripture reading help stabilize his condition, according to South China Morning Post. The outlet also reported that Li was told by doctors in 2013 that if he continued to make action movies he would "would end up in a wheelchair." The Beijing-born star is also known for his roles in "Lethal Weapon 4," "Kiss of the Dragon" and "Expendables 2." Despite his physical issues, Li is slated to appear as the Emperor in the upcoming live-action "Mulan," set for 2020.